Bracelet is the popular jewelry to us. I like jewelry very much. 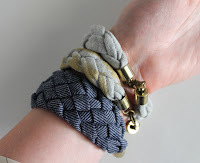 Braided Bracelet is one of the best bracelet. Thanks for share it.